17 :: Visitors and societies are guaranteed to receive a warm welcome both on and off the course at this, one of the premier golf clubs in the north of England, holder of the Yorkshire Order of Merit award. 17th Hole -- Only the very biggest of hitters can put the ball in a position in which you can go for this green in 2. 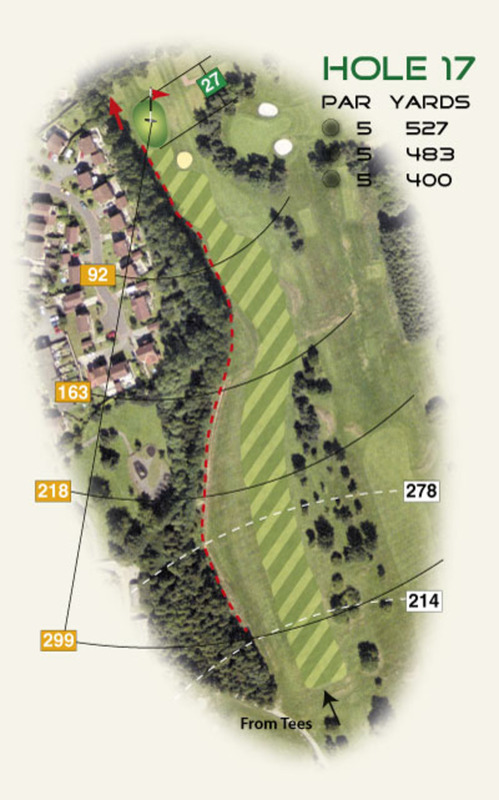 This 527 yard par 5 which plays down hill should yield more chances but the trees and out of bounds to the left protect the green.